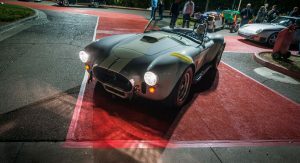 The beauty of the Shelby Cobra was that it married big American muscle to a small British roadster in a package much simpler – and less expensive – than its European competition. But half a century later, prime examples are fetching big bucks. Take this 1966 Shelby 427 Semi-Competition Cobra, for example, which just sold for $2.95 million at RM Sotheby’s in Arizona this past weekend. Described as “arguably one of the finest, most original” of Cobras around, CSX 3030 was one of the few built for street use with nearly all the equipment of the full competition version – right down to the side exhaust and flared fenders. 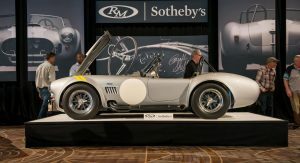 The nearly $3 million paid doesn’t make it the most expensive Cobra ever sold at auction. 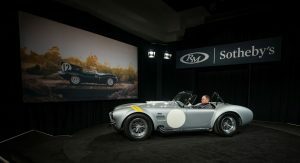 That honor belongs to CSX 2000 – the very first Shelby Cobra – sold for nearly $14 million by the very same auction house at Pebble Beach in 2016. But it far eclipsed the $2-2.4m pre-sale estimate, and represents a high-water mark for the vaunted S/C model. 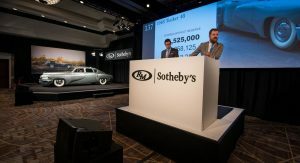 It was also the highest price paid at the event, where it was joined by Preston Tucker’s own Tucker 48 (which sold for $1.79m), a Ferrari 250 GT Lusso ($1.68m) and 250 GT Series II Cabriolet ($1.4m), and an award-winning ’55 Alfa Romeo 1900C ($1.27m). That very French-looking Ferrari F12 TdF went for $1.3m, and that black Bugatti EB110 GT for nearly a million (setting another record for its type). 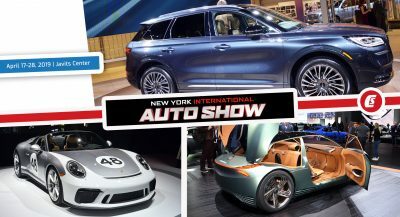 The restomod ’59 Mercedes van went for $162k, and that delicious little Porsche tractor for $45k. 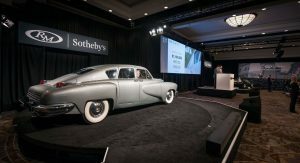 At the end of the day, RM sold 88 percent of the lots consigned to rack up over $36 million in sales. 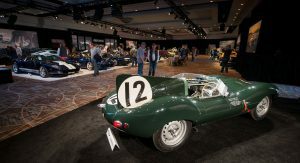 Unfortunately that didn’t include the Jaguar D-Type that was expected to sell for over $12 million, and would have surely been the top lot of the day – had it met its reserve price. I think worth way more. whoever is the new owner, nice buy! Way more than 3 million? Dude, that’s a ridiculous amount of money. 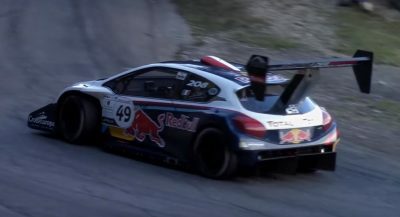 Those are some truly amazing cars. The Tucker is so cool, but the Alfa is just jaw-dropping. In my opinion, these cars (including that amazing Cobra) are well worth the asking price… So now I just have to find 1.27 million USD for the 1900C. Who wouldn’t buy a D-Type? Rich people are awful. 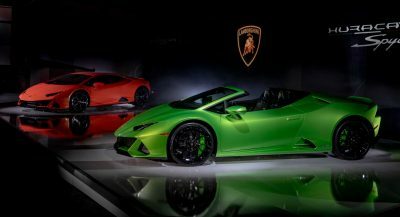 The owner wants reserve which we can assume is around $12 millions, the car bidding only go to $9 millions where the last bidder were coming from telephone and not live bidder. Why didn’t I grow up to be a plastic surgeon. Dang! And yeah, the Alfa was something. 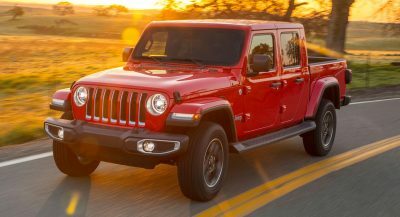 People are going to get on my case again, but classic cars are way overpriced. It’s a beautiful car, but $3M is too much. Yeah I comment you few times, but in case people who read your comment got curious, classic case of supply and demands. Overpriced…..the buyer determines the price…..and they are not making any more. You want it and no one else does it’s cheap……some else wants it the price goes up. I found the action is a bit disappointing, The oldest surviving Alfa is sold for less than the estimate and the D-Type is failed to sell.Many of the car sold are either the bottom of estimate or nearly close to the estimate.